SOLOTHURN, Switzerland – Bike sales in Switzerland last year totalled nearly 315,000 units, more or less the same level as in 2007. Mainly thanks to the continuing e-Bike boom, turnover in the industry increased by 6.5% to € 240 million. 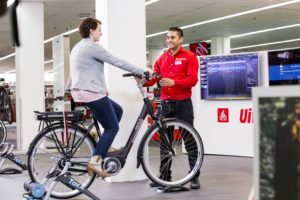 The market share of IBDs grew from € 192.5 million to € 208 million and the average price of bicycles sold in Switzerland increased by 6.3% from € 714 in 2007 to € 759 in 2008. Official statistics report that sales of several types of bikes showed a small decline last year. 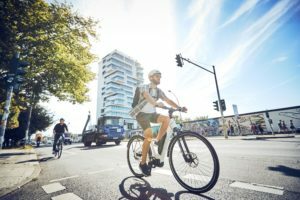 This was compensated by the popularity of the e-Bike, which is currently the fastest growing segment, as in many other European countries. The local Flyer brand is not the only company doing good business in Switzerland: Stromer also took off with a doubling in units sold compared to 2007. With a market share of nearly 4%, e-Bikes have have equalled the market volume of road racers. No doubt they will overtake this segment next year. In Switzerland some 80 bicycle brands are fighting for the attention of consumers. The IBD channel is in strong competition with non-IBD stores, DIY markets and internet retailers. 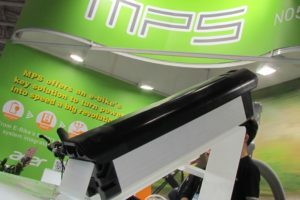 But still the IBDs have managed to capture a substantial part of the market despite the heavy price pressure from suppliers of cheaper bikes. 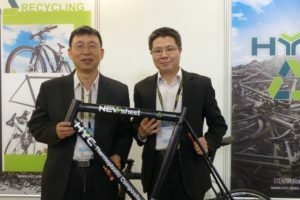 Next to that the IBDs have displayed their professional skills and service level and committed themselves to the business opportunities offered by the e-Bike. The Swiss biker has become increasingly price-conscious, exacting and well informed. The expansion of product ranges and an intensified trend to individualism has created a segment of custom made bikes. 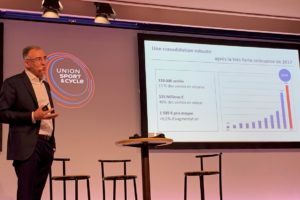 The Swiss industry organization Velosuisse wrote in its annual report that the trend for custom made bikes is problematic for the stocks of the IBDs. For a long time, the quality of official statistics has been questioned by industry insiders. The main issue is the substantially higher number of units provided by the Swiss federal customs in their statistics. According to Gallus Komenda, president of Velosuisse until last December, “the difference is mainly due to inventory levels and the fact that kids bikes are not included in the statistics. However the method of calculation does show the trends and allows an annual comparison of the figures.” Industry insiders assume that among the 60,000 kids’ bikes which are imported under a favourable tax regime, at least the same number of cheap bikes are reported at customs. It is indeed doubtful that, as reported in the official statistics, the turnover of the non-IBD retailers decreased by 8% last year and their market share fell back to just under 30%. “The background to these figures is that the wholesalers did not provide their sales figures any longer, contrary to the members of the association”, rues Gallus Komenda.